Brasília (AFP) – Brazil faces noisy protests and rowdy debates in congress Saturday as this year’s Olympic host country heads for a vote on whether to drive President Dilma Rousseff from office. The Sunday vote could topple the 68-year-old leftist leader, in a political crisis threatening to destabilize Latin America’s biggest economy as it struggles through a recession. Rousseff’s supporters and opponents planned rival rallies over the weekend as lawmakers debate a motion to send her to an impeachment trial in the Senate. The president’s supporters have been gathering for days in a stadium in the capital Brasilia, where she was expected to visit them on Saturday. Pro- and anti-Rousseff rallies are also planned in other cities on Sunday, including the economic capital Sao Paulo and Rio de Janeiro, where the Summer Olympics will be held in August. Lower house lawmakers were due to make further speeches on Saturday and Sunday before voting late Sunday on whether to call for an impeachment trial. Cunha also faces corruption charges. Late Thursday, the Supreme Court rejected Rousseff’s last-minute bid to have the impeachment proceedings suspended for alleged irregularities. 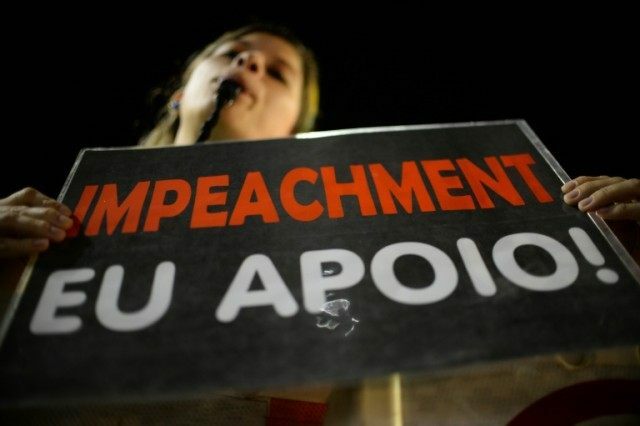 The pro-impeachment camp appear to have the two-thirds majority of votes needed to pass the impeachment motion up to the Senate, according to a tally by Brazilian newspapers. If that happens, Rousseff will be sent to trial in the Senate in a process expected to last months. She also promised to negotiate with opponents if she is allowed to stay in office. But the collapse of her coalition has been relentless, starting with the defection of vice president Michel Temer’s PMDB party. Temer will become interim president if the trial starts in the Senate, and Rousseff would have to step down for six months during the proceedings. If the Senate then voted by a two-thirds majority to impeach her, she would be ousted and Temer would remain president for the rest of the current term to 2018. Meanwhile, Rousseff’s top ally and predecessor as president, Luiz Inacio Lula da Silva, rallied support for her in a video message. Lula faces corruption allegations linked to a graft scandal at state oil company Petrobras. 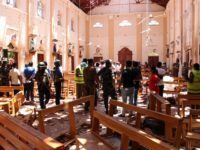 Cardozo said the government was considering further legal appeals. Rousseff got support Friday from the visiting head of the Organization of American States, Luis Almagro. The OAS “has made a detailed analysis of the impeachment process against Dilma, and has concluded that it does not fit within the rules that govern this process,” Almagro said in a lengthy statement. The Uruguayan diplomat said that there was concern over the fate of the most populous democracy in Latin America. “Brazil has always been an example of democracy in the Hemisphere, and we all need for it to continue to be so,” he said told reporters after meeting with Rousseff.